Prayers of the Baha'i faith by prophet Baha'u'llah have been translated into te reo Māori by academic Tom Roa. Roa says the task wasn't easy but very rewarding. With the help of funding from an American group, Tom Roa's Māori translation of Alice in Wonderland is being gifted to Māori schools in an event at Waikato University's Te Kohinga Mārama Marae. Roa says a copy will be sent to every Māori Medium Education school in New Zealand for young readers to enjoy. Today, the people of Tainui waka gathered under the embrace of their ancestral meeting house Mahinārangi at Tūrangawaewae Marae, to grieve collectively for their loved ones who've passed away during the year. One of the countries largest tribes Maniapoto, have grave concerns about the future of its well-versed speakers. 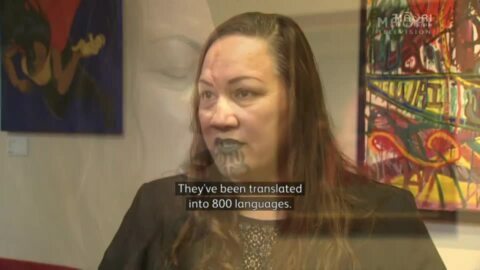 In a language debate last night, future leaders of the region used wit to raise awareness about the state of the language on its marae and region.